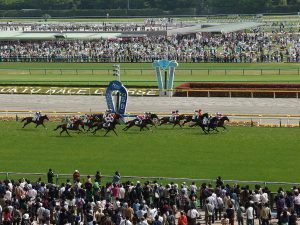 Horse-racing is one of the oldest sports in history. It originated in ancient Greece and has remained revered to this day. As such a valued sport, its participants deserve the best conditions to compete in. 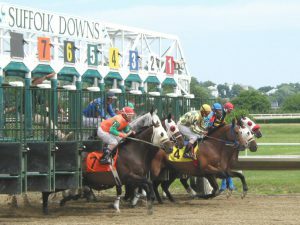 Therefore, a lot of money is invested in creating and maintaining horse-racing tracks. The amount of investments goes up to 2 billion dollars, such as in a horse-racing track in Dubai. For people who like betting on horse racing, it’s not all about finding the Nairabet affiliate code 2018 or other promotions, it’s just as useful to know all about the biggest names in horse racing as well as the best racing tracks. So without further ado, here is a list of the best horse-racing tracks in Europe. England has a very long tradition of horse racing, popularly called “National Hunt”, which started in the 18th century. There are numerous amazing horse-racing tracks all over the country but one of the most prestigious horse-racing tracks is Royal Ascot Racecourse. It is located in the vicinity of Windsor Castle and there is a possibility of seeing the Queen there. Another famous racecourse in England is Aintree Racecourse in Liverpool. 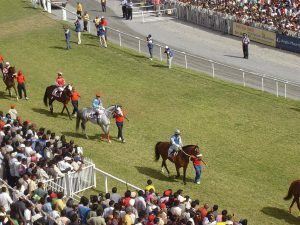 This horse-racing track is known as the most difficult steeplechase in the world, with the length of about 7 km and 30 fences. France is another country in Europe with a long horse-racing tradition. The most beautiful and famous racecourse in France is Chantilly Racecourse in Oise, about 50 km away from Paris, built in 1879. The racecourse is surrounded by a forest and it is near the historic castle Chateau de Chantilly. This racecourse hosts one of the most exciting flat horse races in the country, the Prix du Jockey Club, also known as the French Derby. With all the ornaments and its classical design, this horse-racing track is considered to be one of the most beautiful in the world. Spain is the home of beautiful horse-racing tracks. The most beautiful ones are Hipodromo de la Zarzuela in Madrid and Sanlucar de Barrameda in Cadiz. The racecourse in Madrid is well-known for its sophisticated architecture and canopies that cover the terraces. In addition, it is suitable for families with children as it includes a hotel and a childcare center. Sanlucar de Barrameda race course is located on a beautiful coastline and it goes through Donana National Park. The most famous horse-racing event in Italy is held in Siena, a 5-century old city in Tuscany. Twice a year, in July and August, the whole city turns into a medieval horse-racing track and cherishes a unique equestrian tradition called Palio di Siena. Namely, seventeen neighborhoods of the city compete in a race the takes place at Piazza del Campo. Before the race, locals decorate the streets with their flags, hold parades and plays, and enjoy eating food and having drinks together. The winner receives a banner with an image of the Virgin Mary.